Marmato underground gold mine is expected to have a minimum 12-year productive life, generating over 1.5 million ounces of the precious metal during that time. “In the current gold market, we feel it is prudent to change our approach, shifting from a large-scale, low grade open pit operation as previously conceived to a smaller-scale, higher grade underground mining operation,” Serafino Iacono, executive co-chairman of Gran Colombia said in the statement. He noted the company would spend the next six months preparing a preliminary economic assessment targeting higher-grade material, to expand Marmato underground. 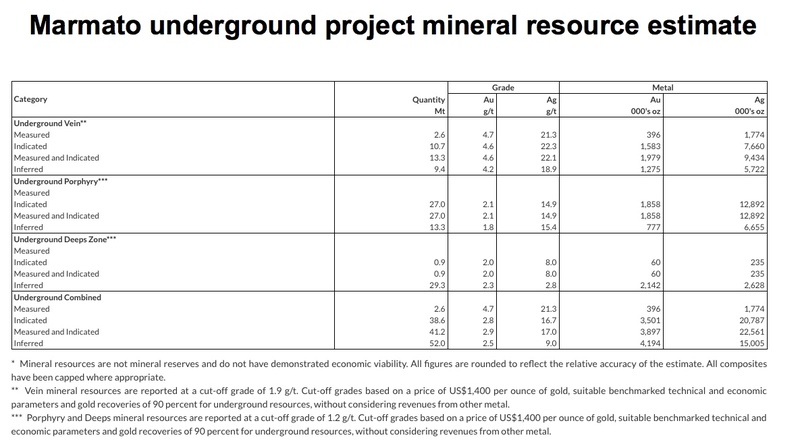 The revised project is expected to have a minimum 12-year productive life, generating over 1.5 million ounces of gold during that time. The company’s stock price jumped on the news, trading almost 2.6% higher in Toronto to Cdn$1.98 at 11:39AM local time. Year-to-date, Gran Colombia’s shares have climbed almost 40%. 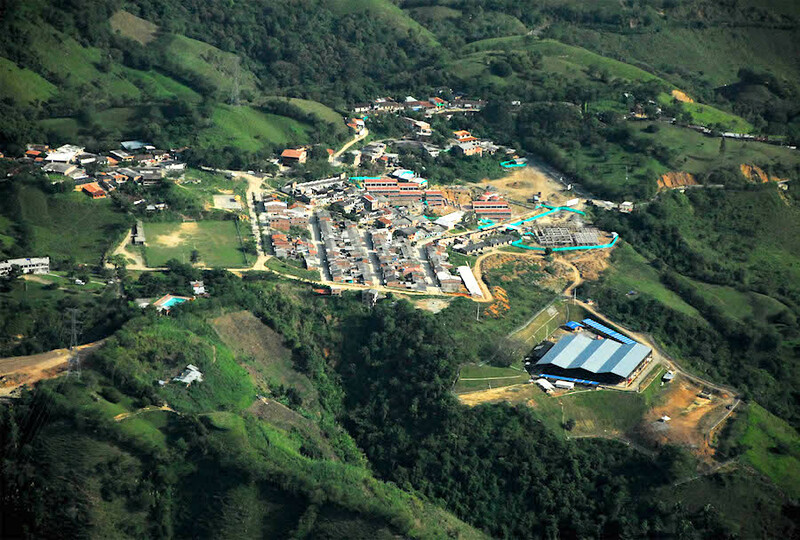 The Marmato project, located in the Caldas department in the heart of the Middle Cauca gold district, has been plagued by controversy ever since operations began 10 years ago. On top of being opposed by traditional mining communities of the 500 year-old town, the concession has also been unlawfully occupied. The first group of illegal miners took over the area late last year, blocking roads and costing Gran Colombia $2 million in daily losses. Earlier this year, the Toronto-based firm filed a $700 million lawsuit against Colombia under the Colombian-Canadian free trade agreement after the government ordered the company to cease operations at the El Burro site in Marmato until further consultation with locals had been conducted. Courtesy of Gran Colombia Gold. Residents mostly opposed the miner’s intention of flattening a mountain to create an open pit, which will not longer be an issue under the proposed underground extraction style. As part of Gran Colombia’s new plan for Marmato, the company also intends to integrate production from ancestral and artisanal miners working within its titles and so avoid further illicit occupations. The Marmato project is located in a region that has been exploited since pre-Colonial times by the Quimbaya people. The Spanish colonists assumed control of the zone’s mines in 1527 and the area has been in almost continuous production ever since. Marmato’s known riches were key to support the cause of Simon Bolivar, a revolutionary leader who liberated much of South America from Spanish rule. According to historians, Bolivar used the mines as collateral with British banks to secure funding for a war of independence against Spain.